Lisbon is known as Portugal’s `City of Light', its beautiful, tiled buildings and cobbled streets illuminated by the reflections of the nearby waters. It is also one of the great undiscovered culinary centres of Europe. 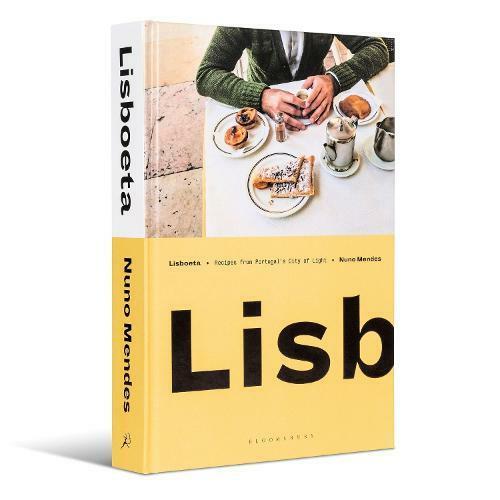 Internationally renowned chef Nuno Mendes is a `Lisboeta' (native of Lisbon) and in this groundbreaking cookbook, he invites you to experience his favourite places, and the incredible food you will discover there. Sharing recipes inspired by the dishes that he loves, Nuno takes you through a typical day in Lisbon. Here you will discover the secrets to the most delicious pasteis de nata, the custard tarts for which Lisbon is so famous, and bolas de Berlim, fluffy doughnuts stuffed with custard that are sold on the beach. For lunch you might sample some typical seafood, like squid sizzling in a pan with garlic and coriander, or grilled sardines with a roasted green pepper salad. And as night draws in, Nuno offers his recipes for rich and warming dishes like slow-baked lamb chanfana and roasted orange-rub pork belly with fennel - which may even be followed with a cheeky prego sandwich after dinner. These are the heart-warming, vibrant dishes of a city with a modern, bustling food scene that is nevertheless steeped in centuries-old traditions. Nuno’s portraits of Lisbon’s idiosyncrasies are threaded through the pages: impromptu sardine grills, endless snacking and city-wide street carnivals. With luminous photography shot on location, this book will bring to life Portugal’s magnificent capital city and its fabulous cuisine.